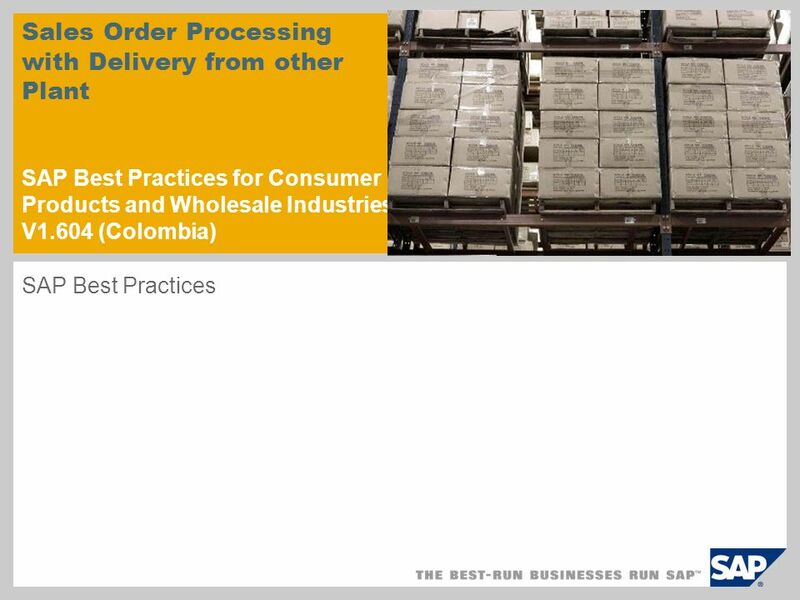 Sales Order Processing with Delivery from other Plant SAP Best Practices for Consumer Products and Wholesale Industries V1.604 (Colombia) SAP Best. 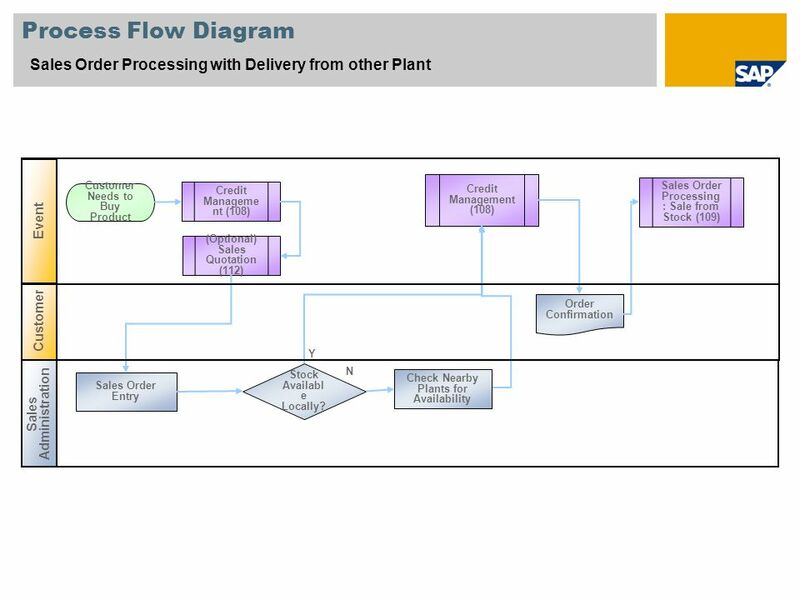 Sales Order Processing with Delivery from other Plant The process starts with the creation of a customer's standard sales order. 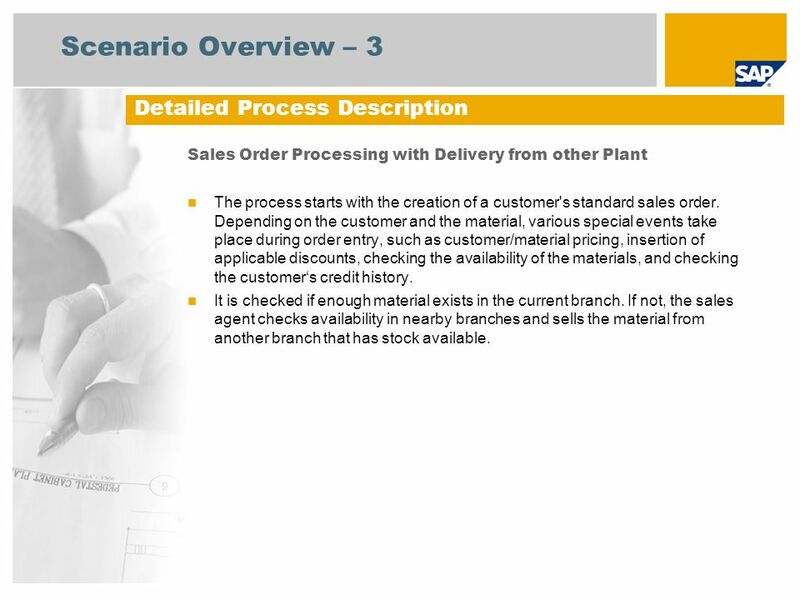 Depending on the customer and the material, various special events take place during order entry, such as customer/material pricing, insertion of applicable discounts, checking the availability of the materials, and checking the customer‘s credit history. 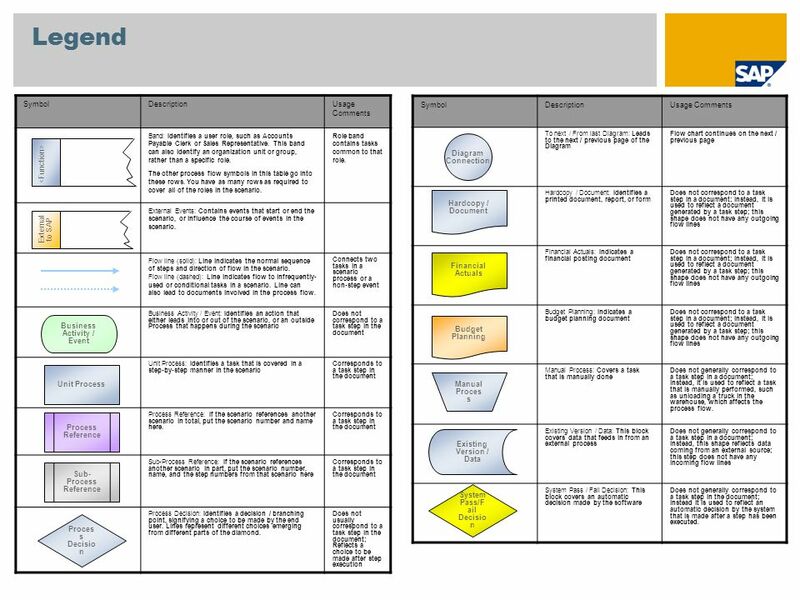 It is checked if enough material exists in the current branch. 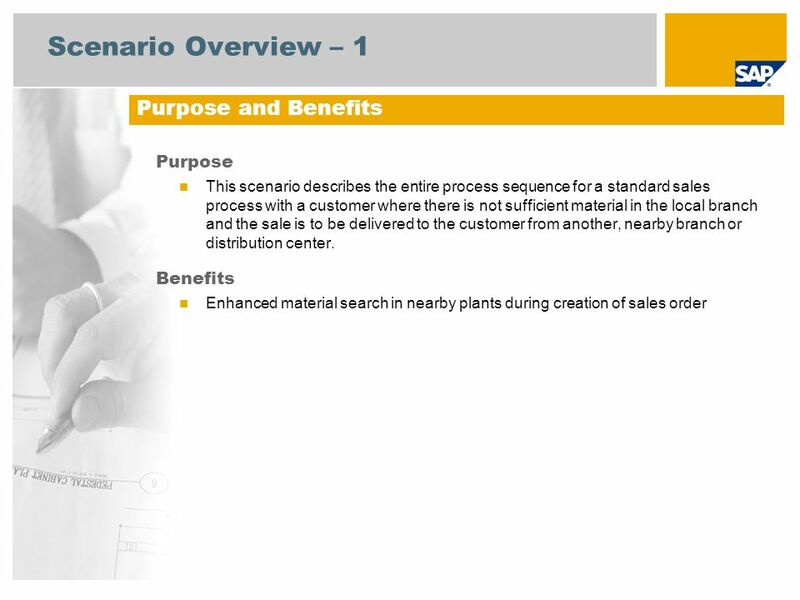 If not, the sales agent checks availability in nearby branches and sells the material from another branch that has stock available. 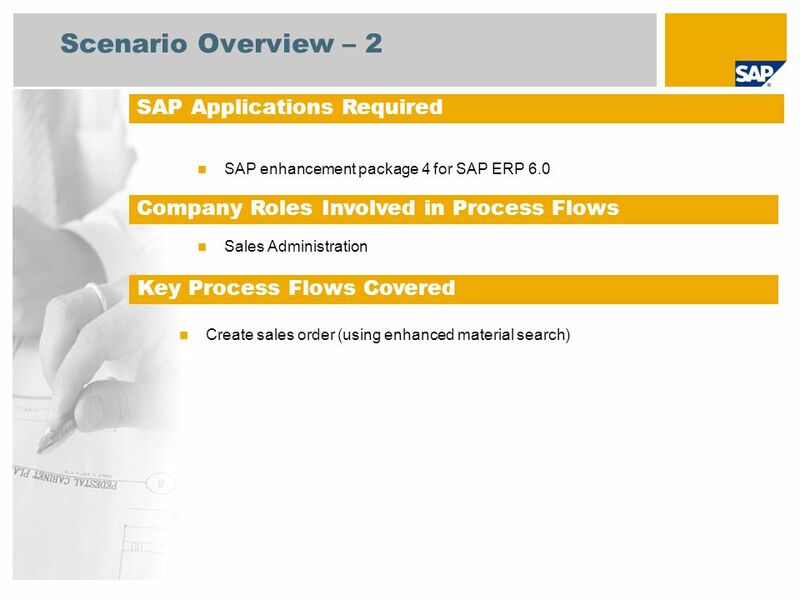 Herunterladen ppt "Sales Order Processing with Delivery from other Plant SAP Best Practices for Consumer Products and Wholesale Industries V1.604 (Colombia) SAP Best." 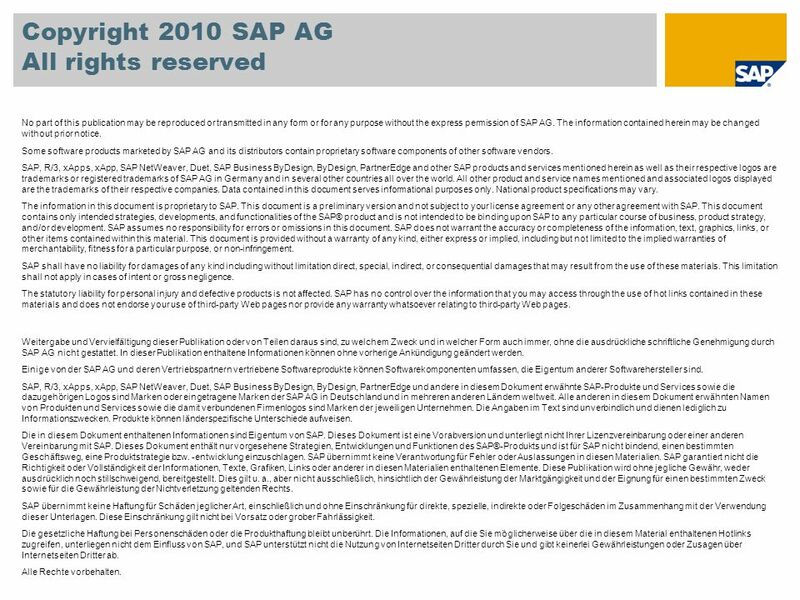 Employee Separation Administration with Funds or Grants Management (980) SAP Best Practices.